What’s the difference between a social worker and a Rottweiler? If your kids get grabbed by a Rottweiler you can sometimes get them back. In my upcoming VAHS seminar I will present some of the findings of a collaborative project between Chris Robinson and myself. 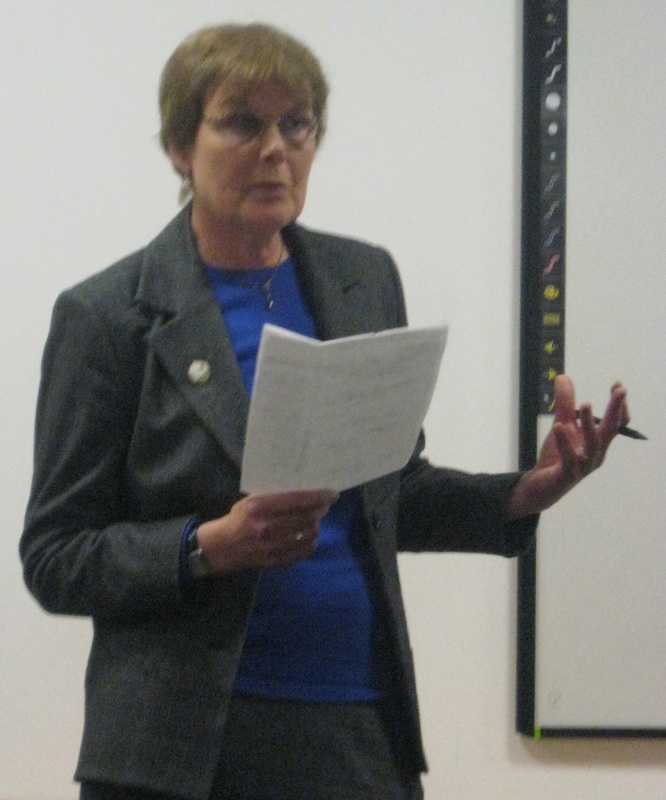 It will be based largely on the records of the RSSPCC and a witness seminar held in Glasgow Caledonian University in 2008 which was designed to capture and record the recollections of those who had worked for the Society in various capacities in the 1970s and after. The paper will discuss those changing perceptions of child protection officers in Scotland. The RSSPCC began in Glasgow in 1884 as a result of an early ‘Atlantic Crossing’, when a Glasgow merchant returned determined to form an equivalent of the New York Society. 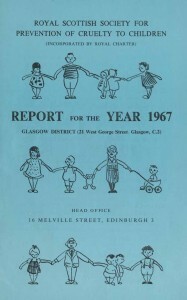 In 1922 the organisation was granted a Royal Charter, becoming the RSSPCC and under this title it continued until the early 1990s when as a direct result of widespread criticism of its role in the Orkney scandal, perhaps the biggest and most traumatic single event in the history of the Society, and indeed the whole of social work in Scotland. It claimed to serve three interests. One was ‘the community’, as intervention could turn a potential ‘criminal’ into ‘a useful citizen’. This in turn would serve the nation by making Scotland “sweet and wholesome… for years to come’. This was also said to be ‘a most economical and wholesome way of relieving the ratepayers from the charges which would otherwise be incurred if these children were permitted to become members of the great army of criminals’ (SNSPCC, 1895 Report, p. 96). It would be difficult to say whether the prominence of crime prevention was a reflection of genuine concern or was a seen as an effective way of appealing for funds and support. 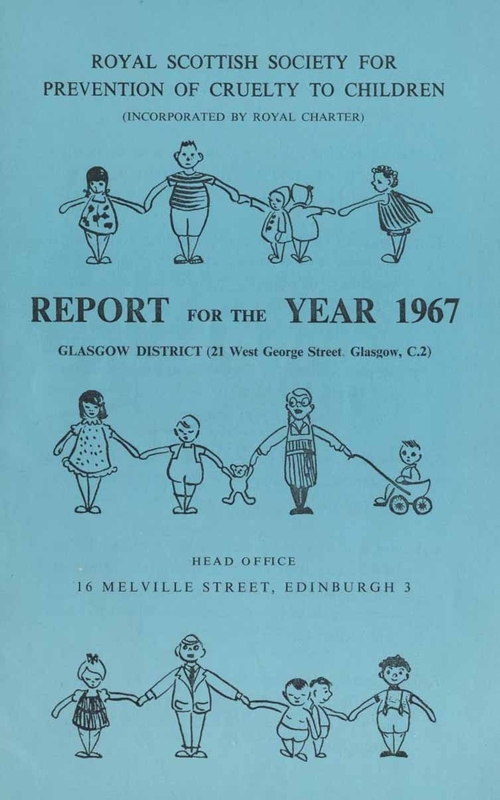 In our project, we looked at the Case Records for Glasgow and the West of Scotland from the 1960s. They showed the persistence of old problems and old attitudes. However, they also showed the beginning of the 30 years that did saw the greatest changes – including listening to children themselves, the feminisation of the workforce, a radical redefinition of what constituted cruelty – and the decline of the Society. The family were living in derelict property, rain was coming in the roof. The kitchen was filthy, with rubbish in piles. An overflowing chamber pot was beside the sink. Most of the floorboards were missing having been removed for firewood. A rat was observed disappearing under the floor. The bedroom consisted of three mattresses soaked with urine. There were two dirty blankets. The furniture had been broken up for the fire and the children were huddled beside it. There was no fireguard. The cupboard in the kitchen was bare except for two candles, which had been nibbled by mice (Glasgow Case Records, 1960, p. 18). The flat was very small. The electricity was disconnected and two candles were on the table. The baby’s cot was filthy and the beds for children were dirty. New mattresses delivered two weeks ago were already stained with urine. There was one chair and there were piles of dirty clothes on the floor (Easterhouse Case Records, 1975, p. 54). The Society’s Case Records show some very traditional gender attitudes. 51% of the Society’s mothers were recorded as having a job outside the home – though many more working mothers likely hid the fact from officers hostile to working mothers. While both parents were repeatedly ‘warned of [their] responsibilities’, for fathers this would be to ‘go out and get work’, while mothers ‘should give up work and be at home with the children’ and maintain ‘standards in the home’ (Glasgow Case Records, 1967, p. 706; 1962, p. 109 and 1963, p. 302). The Case Records also give us an insight into the past methods employed by the Society’s officers. They show the power to intervene in families’ lives being exercised through a mixture of threat, surveillance, encouragement, advice and material aid. Home Visits were not always welcome. One officer reported: ‘I climbed on to the window ledge and called through that I knew they were at home and that I was to be let in’ (Glasgow Case Records, 1963, p. 327). However, by end of 1970s they seem to have adopted a more consensual and ‘professional’ approach. In the 1960s, 75% of ‘action’ amounted to the issue of warnings. Some parents, usually fathers, were summoned to the office to be warned, which was invariably backed by the threat of legal action. In other cases the mother might be ‘warned as her care stood at the present she could be reported to the procurator fiscal’ (Hamilton Case Records 1966, p. 62). Failure or resistance to co-operate was invariably regarded as indicative of poor parenting. However, prosecutions occurred in less than 5% across the whole period and over time ‘warning’ merged into ‘advising’. In over 80% of our sample of 1960s cases, provision was made – sometimes as donations from the officers themselves – for bags of coal, children’s clothes, etc. They might also directly intervene in the financial organisation of the household. In one case, the officer arranged with a ‘co-operative employer that the father would receive two wage packets each week, one being for himself and the other to be handed to the mother’, to avoid it being spent on drink (RSSPCC, 1966 Report, p. 2). A major change over time is the increased awareness of different forms of abuse. In 1972 it was acknowledged that ‘even if [the public] have not heard of ‘non-accidental injury’ are certainly worried about ‘battered babies’ (RSSPCC, 1972 Report, p. 10). Where sexual abuse does not appear to any great extent until the 1980s, it then takes on a dominating role. 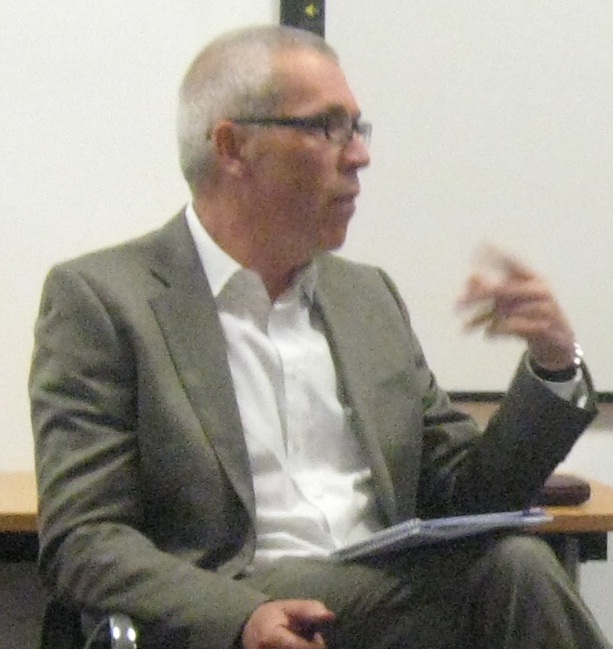 Chris Robinson has undertaken an analysis of the changing focus of advice in the three periods 1960-1975, 1976-1984, and 1985-1990. Advice concerning cleaning and washing declined dramatically from 90% of cases in the earlier period to 10% in the last. There was a similar decline in advice on cooking nutritious food which fell from almost 100% to 0%. While advice on managing finances was pretty constant and that on ‘relationships’ actually increased. This negotiating or mediating role developed in the 1970s and 1980s as the new Social Work Departments (often unhappy with the voluntary sector) gradually assumed the RSSPCC’s statutory role. All of this raises questions for us about child protection today. Can we draw any general conclusions about the efficacy, desirability, political expediency, and safety in lodging issues of social governance with voluntary bodies? Did the various interventions listed above perhaps rest in some way on their being undertaken by a voluntary society? While the Society and its officers underwent changes during the twentieth century, so too did voluntarism itself. That change should be kept in mind by those current politicians – on both left and right – who have expressed enthusiasm for increased voluntary action. Photographs of Dr Nottingham and Dr Robinson taken at the Social Work, Health and the Home workshop in April 2011. Other images used by the kind permission of the Glasgow Caledonian University Archives. This entry was posted in Chris Nottingham, Podcasts, Research, Seminars and tagged children, families, Glasgow, Scotland, social work, women. Bookmark the permalink.